All "first-responders" to such attacks: military, firefighters, policemen, emergency treatment personnel, local officials who want to learn about the radioactive nature of the devices, recovery and emergency treatment of personnel. Airport security, local city, county, state, and federal officials making policy relevant to first responders and key aspects related to radioactive dispersal weapons. 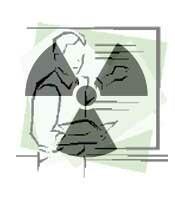 No background in the nature of radioactivity is expected. This course presents a hands-on practical approach in dealing with this important topic. The likely attendee will have a role in protection of the public, restoring calm, recovery activities, decontamination and disposal, public communications, emergency procedures, evacuation, etc. Attendees will learn about important perspectives in radioactivity, such as the description, nature, prevalence, and origins of natural radioactivity. You'll learn about the extensive and detailed efforts going into the transportation safety issues related to shipments of radioactive materials. What we have learned from the history and health effects of an explosion of a radioactive source(s). Attendees will also learn about depleted uranium, radioactive and chemical properties, how it's made, some industrial and military uses. You will consult with instructors who have handled and worked with radioactive materials, who have taught radiation workers, firemen, and engineers about such materials. Understand the radioactivity in nature and likely materials in radioactive dispersion devices (RDDs). Learn some comparisons between natural and man-made radioactive sources. Learn how to communicate with the media, the public, and officials regarding risks, damage assessment, and recovery activities. Learn how to understand and use radiation detection devices in radiological assessments, deployment of recovery teams, media reporting and communications. Receive packet of pertinent information for community training and potential recovery plans from RDBs. Cost for this course is $1,495.00 [U.S.] with All Proceeds going to the Radiochemistry Society.
.:: copyright Radiochemistry Society© - all rights reserved ::.